The author, Chris Jennings (Harvard, B.A., Biology 1976), excels at writing scientific books that fulfill the needs of professionals while rendering the science accessible to the average reader. 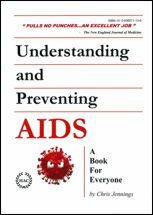 His prior book, Understanding and Preventing AIDS: A Book for Everyone, was favorably reviewed by the New England Journal of Medicine and adopted for staff education by Massachusetts General Hospital (the hospital affiliated with Harvard Medical School); the U.S. Department of Health and Human Services (HHS); the National Institutes of Allergy and Infectious Diseases (NIAID); Walter Reed Army Medical Institute; sold in medical bookstores; purchased by innumerable city and state health agencies; and utilized as a textbook at colleges, nursing schools, and public health schools. 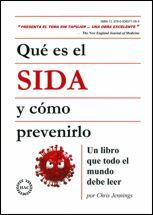 HIV/AIDS — The Facts and the Fiction is based on a meta-analysis of over 3000 scientific and medical journal articles. The scientific literature is clear: (1) New York City is the epicenter of the AIDS epidemic; (2) the theory that HIV came from monkeys is a fallacy – the theory that AIDS originated in African monkeys arose from an incident of laboratory contamination; and (3) the African AIDS epidemic-as-holocaust never manifested. All information is documented by footnotes with references. As such, HIV/AIDS — The Facts and the Fiction redefines global concepts for the prevalence and distribution of HIV infection, and has powerful implications for HIV/AIDS funding, research prerogatives, and global health care interventions. Order from Amazon or your favorite Bookstore! Looking back in time via the medical literature, the world’s first legitimate AIDS cases were documented in New York City beginning in 1979. Legitimate AIDS cases are defined as having two vital characteristics. First, any reasonable case of AIDS should display the classical, early onset, AIDS-related, opportunistic infections. Second, any reasonable case of AIDS should be part of a cluster of AIDS cases. AIDS is a consequence of HIV infection. By their very nature, infections are transmissible; that is, they pass from one individual to another. Therefore, transmissible infectious diseases manifest in clusters. Legitimate AIDS cases do not exist in singular isolation, i.e., far removed in time and geography from all other documented AIDS cases (as purportedly occurred in Africa as far back as 1959). The clinical and immunological profiles of these first legitimate AIDS clusters in New York City are described in order to familiarize the reader with the character of legitimate AIDS clusters. These descriptions also explain how AIDS information was introduced to the medical community and general public which, in part, laid the groundwork for later misconceptions. The first documented case of international HIV transmission occurred between New York City (NYC) and Copenhagen, Denmark. The first AIDS patient in Denmark was a man who had visited the gay bath houses in New York City every year on vacation for 10 years. Early in the epidemic, the greatest risk factor for contracting AIDS was sexual contact with a gay man from the United States. This finding was consistent among incipient AIDS populations throughout the world. In Copenhagen, Berlin, Munich, London, Paris, Port-au-Prince (Haiti), other Caribbean islands, and the Johannesburg, South Africa – a substantial portion of the first AIDS patients were gay men who had homosexual contact with a gay man from the United States; such sexual contact occurring either inside or outside the United States. As history has shown since the days of the sailing ships: disease follows trade routes. Initially, HIV/AIDS was found only locations harboring American trade and/or tourists. Initially, within the Soviet Union and Cuba, wherein travel by Americans was restricted, HIV/AIDS was virtually non-existent. 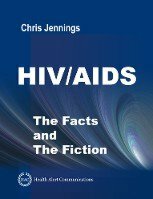 HIV/AIDS — The Facts and the Fiction deconstructs the myth of a decimating HIV/AIDS epidemic in Africa as well as describing how the concept of an overwhelming African AIDS epidemic arose. Ironically, the first black Africans diagnosed with AIDS were residents of Belgium. The first researcher to “discover” AIDS cases in Africa had actually gone to Zaire (now the Democratic Republic of the Congo) tracking the sexual partners of AIDS patients residing in Europe. New York City is the primary global HIV/AIDS epicenter. The world’s first legitimate AIDS cases were documented in New York City. Paris and Brussels (Belgium) were secondary epicenters of HIV/AIDS. Evidently, HIV/AIDS traveled from New York City to Paris/Brussels, and from these secondary epicenters to the French-speaking, former colonies of Belgium and France; namely, Zaire, Rwanda, and Haiti (although Haiti was primarily infected via gay tourists from the United States). Thus, the first legitimate AIDS cases in Central Africa were transmitted from Paris and Belgium to Zaire. (However the first legitimate AIDS cases in all of Africa occurred in two gay white men in the Republic of South Africa. These first legitimate African AIDS cases in the Republic of South Africa were transmitted from New York City to Johannesburg, South Africa, as described in this blog post). Why does the Clinical Profile of African HIV/AIDS Patients Differ? Collectively, the clinical profile of African “AIDS” patients differs significantly from their American and European counterparts. In addition, ambient tropical diseases that should appear in African HIV/AIDS patients are absent. While there is a quick tendency to explain away these differences as the variant manifestation(s) of HIV infection, the strong likelihood exists that tropical diseases and/or conditions secondary to poverty are being misdiagnosed as HIV. The inaccuracy of the HIV antibody tests among indigent, tropical populations contributed to the fallacy of widespread HIV infection (purportedly up to 25% of some African countries), as did the use of the Provisional Surveillance Definition, developed by the World Health Organization (WHO). This Provisional Surveillance Definition was developed to diagnosis AIDS in third world settings lacking laboratory facilities for HIV antibody testing or white blood cell counts. Per WHO’s surveillance definition, a patient presenting with 10% weight loss, a fever persisting more than a month, plus a cough persisting for a month or swollen glands, could be diagnosed with AIDS. Overall, current concepts of the global HIV/AIDS epidemic have been distorted by the undue amplification of a select data set by the general and scientific media during the beginning of the HIV/AIDS epidemic. HIV/AIDS — The Facts and the Fiction attempts to rectify these distortions by addressing all relevant disciplines, presenting information previously overlooked, and reconfiguring the AIDS scenario into a new conceptual constellation. HIV/AIDS — The Facts and the Fiction is a seminal work granting new comprehension. 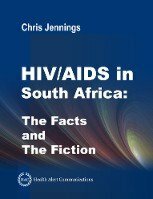 HIV/AIDS — The Facts and the Fiction and its companion book, HIV/AIDS in South Africa — The Facts and the Fiction, have powerful implications for HIV/AIDS funding, research prerogatives, strategies for diagnosis, and global health care interventions. Be sure to examine the companion book HIV/AIDS in South Africa — The Facts and The Fiction, Winner of the Will Solimene Award for Excellence in Medical Communication from the American Medical Writers Association (AMWA).